The deadly Carr Fire burning in Northern California can now claim an unfortunate milestone: It has officially cracked the list of the 10 most destructive wildfires to ever beset California. The Monday morning update from CAL FIRE shows that 1,236 structures have been destroyed, making the Carr Fire the seventh-most destructive wildfire to hit the state. It overtakes last year’s monster Thomas Fire. At only 27 percent contained, the fire still poses a risk to 2,546 more structures, according to CAL FIRE, meaning that amount of property lost (and its ranking on the list) could rise, especially as assessment crews are able to access more areas that were hit by the fire. At least six people are dead and more are missing, numbers that could sadly also rise. 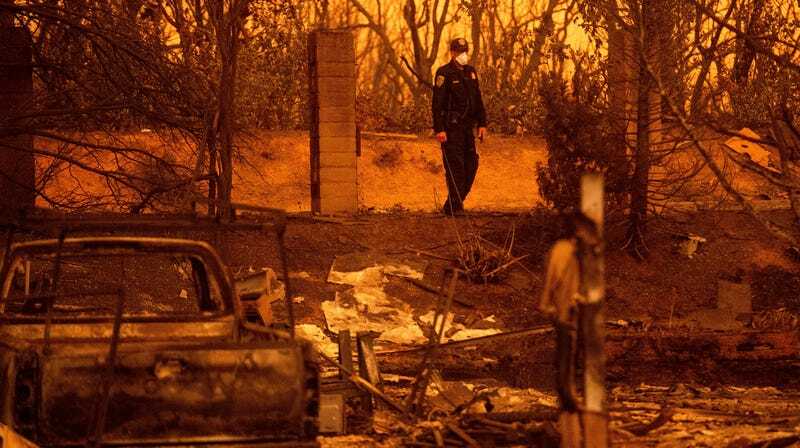 The majority of the losses have occurred in neighborhoods on the north and western side of Redding, a city of 90,000 located on Interstate 5 about two and a half hours north of Sacramento. The Carr Fire rushed into town on Thursday night, jumping the Sacramento River and continued its rampant growth on the backs of gusty winds and 110-degree-Fahrenheit heat. The fire continued to grow over the weekend, doubling in size from day to day before it slowed down on Sunday night. As of Monday, the fire has burned 98,724 acres. The heat in particular has led to near-record-low vegetation moisture, leaving trees, shrubs, and grassland primed to go up in smoke. Vegetation has burned so intensely that the fire has sparked a vortex of smoke and flames, twisting fire tornadoes, and towering pyrocumulus clouds. 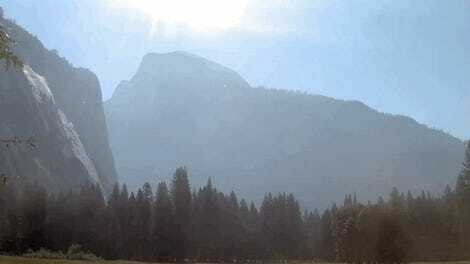 Smoke has blanketed much of Northern California, spiking air quality to unhealthy levels. Four of the 10 most destructive fires in state history have occurred in the past year, and eight of them have happened since 2000. Three of them occurred last year alone as part of the conflagration in Wine Country and the Thomas Fire that hit Southern California. This wildfire season has proven to be catastrophic as well. Beyond the Carr Fire, wildfires have burned 410,000 acres, more than double the average for this point in the year, according to statistics compiled by Steven Bowen, a meteorologist at insurance company Aon Benfield. The dangerous Ferguson Fire caused Yosemite Valley to be evacuated as a safety precaution last week. And earlier this month, the County Fire ripped through Yolo County, eating up 1,000 acres of land per hour at its peak as onlookers watched its advance from a casino parking garage. The stories of this fire season and last reflect two troubling realities: climate change is increasing the risk of conditions that lead to explosive fires, and a growing number of people are living at what scientists call the urban-wildland fire interface. It’s a dangerous combination that could further rewrite the record books. This post has been updated because since the time of publication, the Carr Fire has grown and destroyed more property. It’s has surpassed the Thomas Fire and is now the seventh worst wildfire in California history, a ranking that could climb even further.